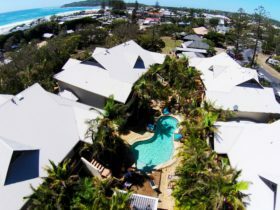 The Lodge is the best value accommodation option in Byron Bay and all options are ideal for those travelling on a budget. Although small, they are modern and comfortable. All lodges are ideally located in a lush lawn setting and have access to a well equipped camp kitchen including free stainless steel barbecues, microwave, and family sized refrigerator. Some have their own en suite with the remainder having shared bathroom facilities. These shared bathroom lodges sleep a maximum of three adults with a double bed and a single bed, whilst the en suite lodges have two singles or a double bed. 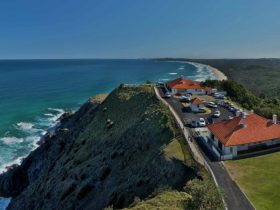 The Lodges are the best value accommodation option in Byron Bay for those on a budget. Modern and comfortable, all lodges are ideally located in a lush lawn setting and have access to a well equipped camp kitchen including free stainless steel barbecues, microwave, and family sized refrigerator. En Suite Lodges sleep two adults. 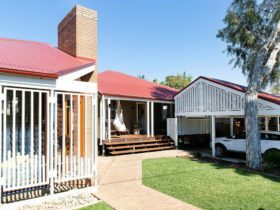 Two lodges feature a double bed and two feature a queen bed. Both beds can be split into two single beds on request. Stay in touch with nature without sacrificing supreme comfort. Discover these Hippy Huts and embark on the ultimate glamping experience. Explore the fantastic range of Cabins and Lodges at First Sun Holiday Park. 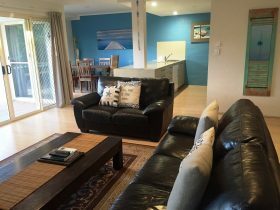 There are plenty of combinations to choose from, all seconds from Main Beach at Byron Bay, and the centre of town. 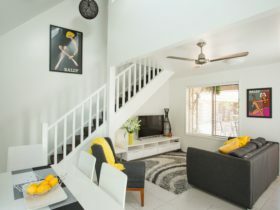 Cabins include the Ocean View – sleeping four adults, Starfish – sleeping two adults and two children, Starfish Easy Access – sleeping two adults, Seahorse – sleeping two adults and three children or four adults, and Sand Dune – sleeping two adults and three children or four adults. 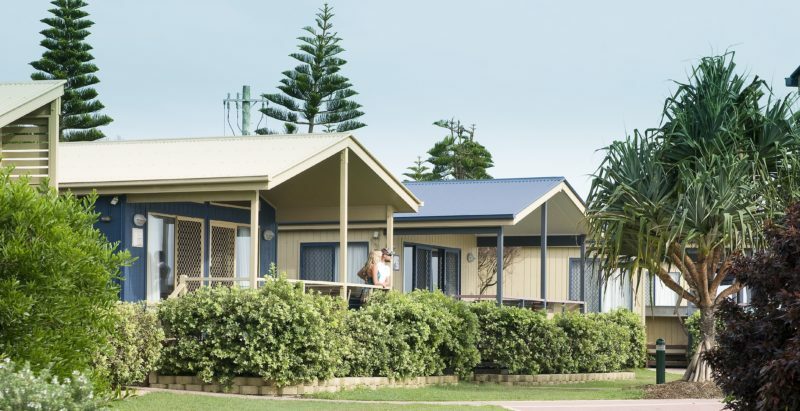 First Sun Holiday Park offers outstanding facilities for caravans and campers including barbecue and picnic areas, lush surrounds, 24 hour security, and two well-equipped camp kitchens. Being just moments from the town centre means all your shopping and catering needs are well cared for. 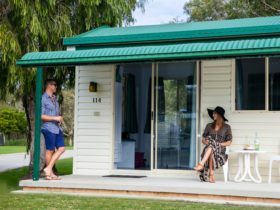 Site options include 50 powered caravan/campervan sites, 23 unpowered tent/small campervan sites, 11 powered tent camping sites, and two powered sites to accommodate large motor homes up to 12 metres in overall length. All powered caravan and campervan sites have protected 15 amp power supply, town water, and nearly all have concrete annexe slabs.